I’ve been lazy lately and don’t always close the coop door at night. 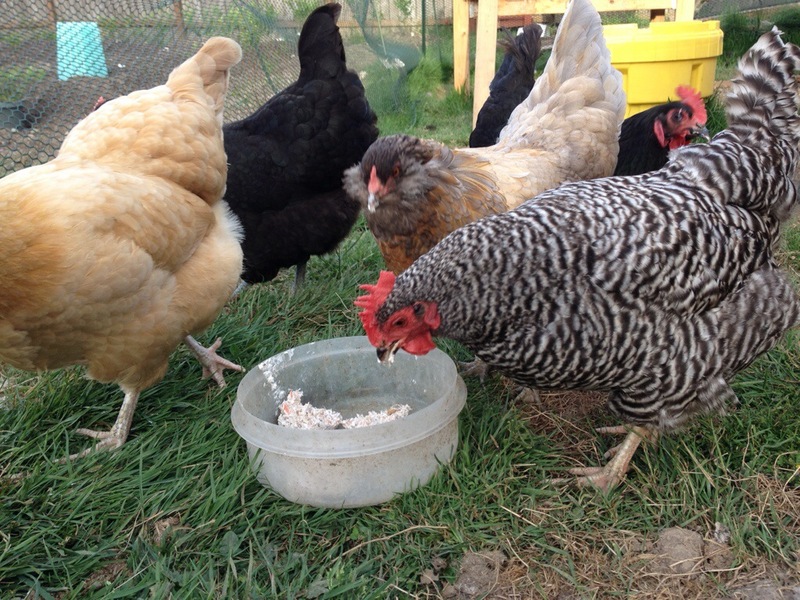 This is partly because I forget, and partly because I once forgot to let the ladies out in the morning- they spent the whole day cooped up and I only realized an hour before dark that they hadn’t been out all day! Anyways- my vigilance has been renewed after this morning’s events. Inka and I awoke to terrified squawking at 3:30am and raced out the back door to chase off the aggressor. 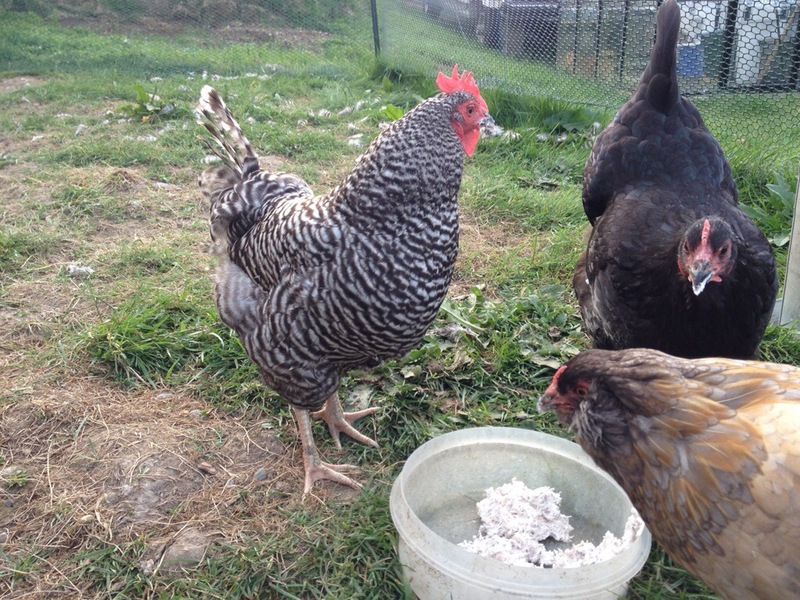 In my scramble to grab a flashlight and my glasses, I missed what happened- it appeared that Inka had chased whatever it was off, but whatever it was had dragged Amelia and Agador out of the coop and still had Amelia. Agador was missing some tail feathers. I put her back in the coop. 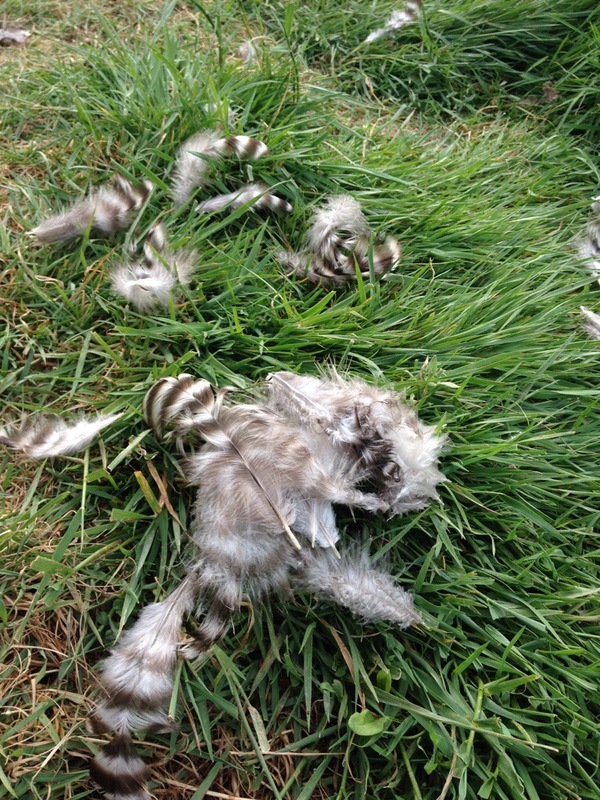 The run was covered in swaths of Amelia’s grey and white striped feathers, some of them clumped together with what I assume was raccoon slobber. I heard no more clucking, and assuming Amelia was a goner, went back to bed feeling sick to my stomach. 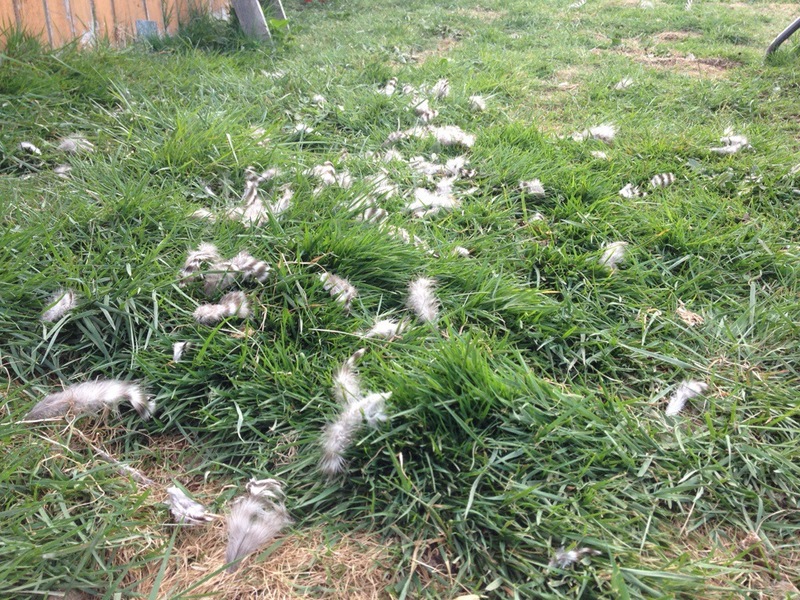 Random chicken death (where you find them keeled over in the coop one morning) is one thing, which may or may not be your fault, but terrifying death by sneaky, dexterous paws and sharp little teeth is another thing entirely, and was my fault.